Students simulate predator and prey interactions with this lab. This kit is designed to approximate the dynamic interaction of a prey population with a predator population. Simulated predators, prey, and environment niches allow students to visualize the concepts of predation and community-population fluctuation. This exercise simulates the opening of a new habitat and the competition between a population of mice and foxes to utilize it. This activity allows students to explore Framework Science Standards LS2, LS4, and ESS3. This kit is aligned with all published National Standards. Pre and post-laboratory assessments and vocabulary words target specific Science and Engineering Practices and Common Core standards. The teacher guide also contains specific “Did You Know” concepts that link the real world with the scientific standards explored. This kit includes enough materials to be performed repeatedly for six groups (30 students). This activity can be completed in one 45 minute class period. 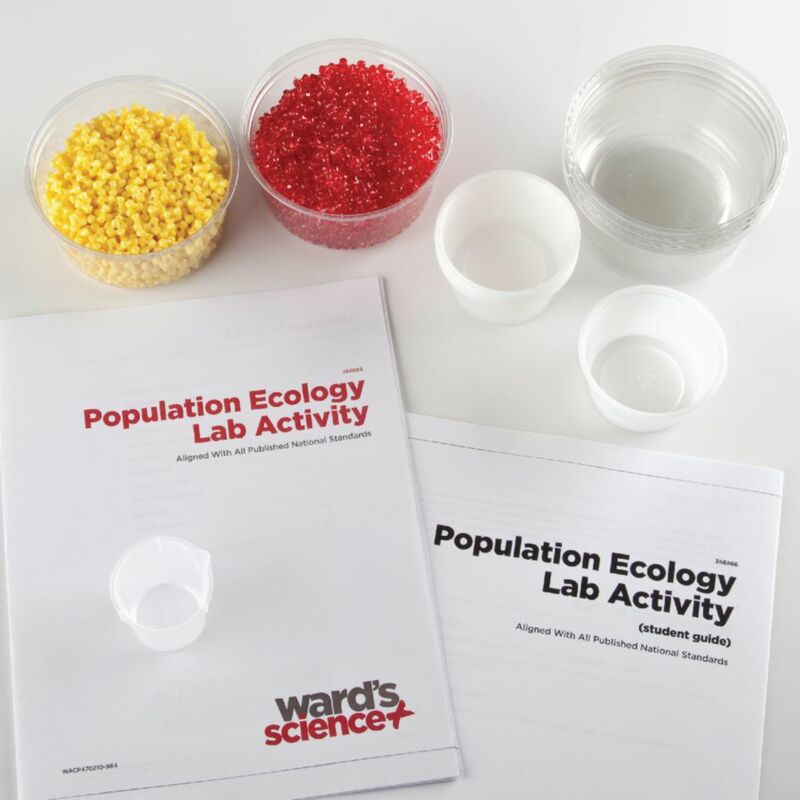 Ordering information: This kit includes habitat boxes, small cups, a bag of yellow beads, a bag of red beads, a measuring cup or beaker, a teacher’s guide, and a student's guide.